A warrant was issued for 22-year-old Miguel Colon for his involvement in a fatal hit and run accident that occurred on Monday, April 13, 2015. A $20,000 reward was offered for information leading to his arrest and conviction. 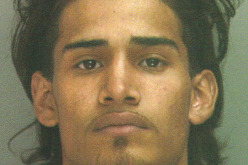 Police in Philadelphia are searching for Miguel Colon, a 22-year-old wanted in connection with a fatal hit-and-run in April. The accident happened at Mascher Street and Lehigh Avenue at just after 7 p.m. on April 13. A 19-year-old woman and her two-year old son were struck by a 2006 white Infinity traveling south on Mascher. The driver, allegedly Colon, fled. The woman was transported to Temple Hospital in critical, but stable condition; she was treated and released. She was at the bedside of her son at St. Christopher’s Hospital when he died on April 16. Philadelphia is offering a $20,000 reward for information leading to the arrest and conviction of Colon. Anyone with information can call the Accident Investigation Division at 215-685-3180, or dial 911.